Who needs a protein shot? 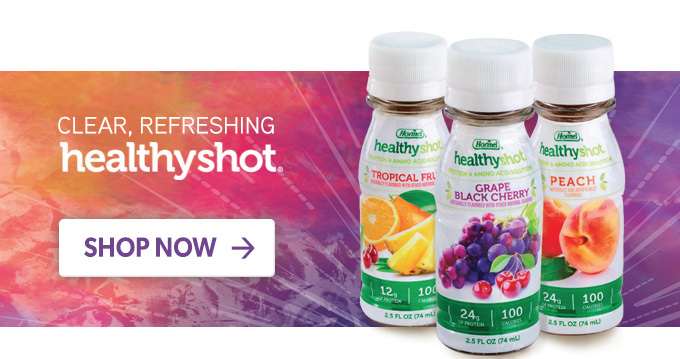 Try a HealthyShot. Subject: Who needs a protein shot? 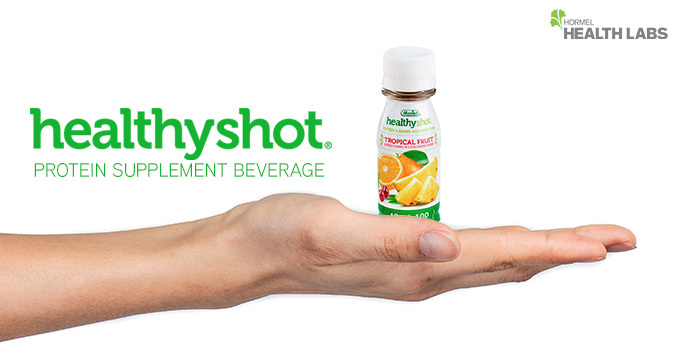 Try a HealthyShot. Know someone who needs some extra protein? For your clients and patients, getting convenient high-quality protein can make all the difference. Our clear, refreshing HEALTHY SHOT® protein supplement beverages provide an opportunity for on-the-go nutrition. These are perfect for individuals with increased protein needs because they are; recovering from surgery, trauma, or wounds, are undergoing treatment for cancer or are going through dialysis. We offer 3 tasty fruit flavors; Tropical Fruit , Peach, and Grape Black Cherry. Please stop and see us at FNCE® - booth #1117.